So, we finally broke something on our old Macbook. The display. Took 5 years to break something and it's still not Apple's fault. This is a late 2006 model and it's still a completely awesome laptop. (I have upgraded it a bit though) I would rather pay a couple hundred bucks and fix it... can you say that about any PC laptop made around the same time, I don't think so. I was wondering if you knew of or could help me find a good, trustworthy place to get a new display from. I've found some from Google search but maybe someone that reads this may know of a place. Do you know if you can get something like this directly from Apple? Hopefully without paying so much that it's not worth it... because like I said, it's still an awesome laptop despite it's age. I guess if it costs too much we could hook a keyboard and monitor up to it and use it as a stationary computer. Which model is it ? the 13 " ? Looks larger then that on the screenshot. I've got an old white macbook I'm not using anymore if you want to buy it from me and swap around the screen and stuff I'll gladly sell it to you for a real good price. That'd be sweet dude. As long as you come in at the right price. I'll PM you. It's the standard 13.3" model... I have to take open it up to get the serial. After I updated it to 10.6.7 the serial doesn't show in the OS anymore. arrrrgh matey! Apple Stores gradually have dropped the price of component repairs, which now are about 50% lower than they once were. This past summer, my sister replaced a cracked display and lid on her 2008 Intel MacBook Pro (15") for about $450 (It wouldn't have cost her that much if she had done the work soon after it happened, but she delayed after initially cracking just the upper housing. 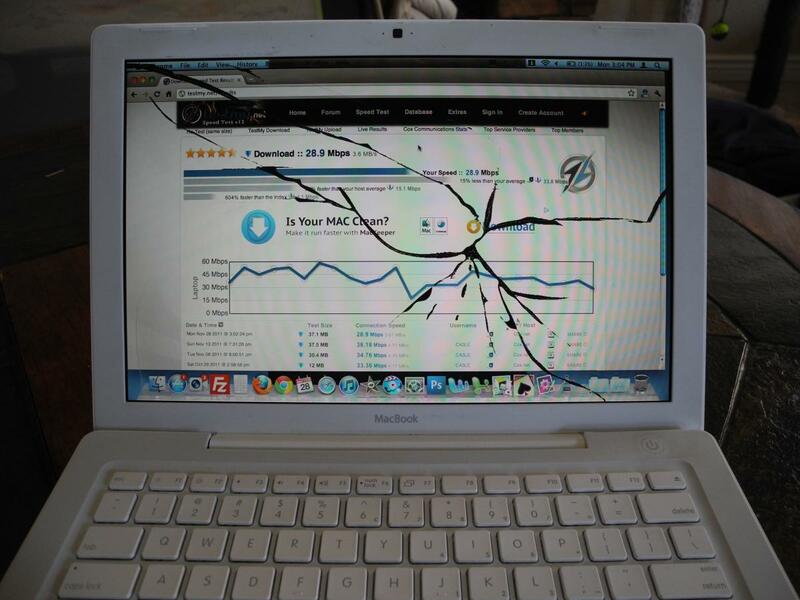 Eventually, her clumsy kid picked up the MacBook Pro by the lid and cracked the screen). Just a couple of years ago, that repair would have cost about $900. Beside great tech support, Apple seems to be passing along to customers the manufacturing savings it's realizing from gangbuster sales. If your local Apple Store no longer works on the oldest machines, they'll direct you to a reliable, affiliate repair facility, as will the techs at Apple's 800 support number. That said, if this Mac does not have an Intel Core2 Duo processor or better, it would be wise to direct the money toward the cost of a more modern MacBook Air (under $1,000) or an iPad (@$499-$800), or a refurbished deal at the online Apple Store. Modern Macs offer a lot of benefits. I know money is tight for the 99%, but be careful not to throw good money after bad when it's really time to upgrade. I have another friend on a budget who gradually spent nearly $1,100 reparing and upgrading a used, 2007 MacBook Pro a friend gave her last year. One thing after another went wrong and a repair tech really hosed her. She could have bought a new machine with that much money. And you have some very good real world information HDBoy. Or maybe he's messing with us... 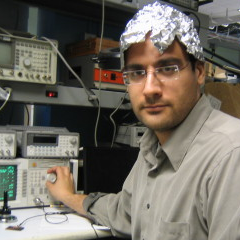 This might be photoshopped, or he's running a program to simulate a broken screen. I don't see any shards of glass on the keyboard. Made me take another look at the damn pic , and I have to say , screenshot doctored up to appear as brokded ? So, we finally broke something on our old Macbook. The display.